Was your last news release optimized? Search engines don’t just present audiences with content without rhyme or reason. When you enter a keyword or search term into an engine such as Google, a process of filtering for specific information occurs. Many websites are scanned using a set of criteria that Google, Yahoo!, and other engines use to determine if the content is a good match. News optimization is a process that edits your release, shaping it so search engine make it easier for audiences to find and act on. Why is news optimization important? Optimizing news releases is important because it’s measurably effective. Since 2010, SEO-PR and Rutgers CMD published 5 case studies on the subject of PR measurement regarding optimized and unoptimized releases. For each study, two releases were created around the same story, one would be optimized and one wouldn’t. 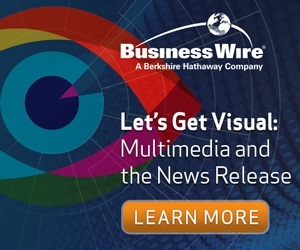 The optimized release was distributed using Business Wire’s patented distribution network while the unoptimized release saw distribution over another wire service. All releases went out using comparable distribution circuits and the results were analyzed. Four comparisons stand out as a definitive advocate for the importance of news optimization. Optimizing a news release resulted in 725 more views within 2 hours of initial release. That number is significantly large enough to indicate that the additional reach of the release was not coincidental. Optimization of the headline, subhead, and body copy directly impacted how the news travelled once it was released to the public. More people saw it, many more people, so many more people in fact that if your goal is to maximize ROI for a marketing campaign, optimizing a release becomes critical to achieving such goals. An important aspect to raising the visibility of a message is inciting audience engagement with your news. The more people are talking about your announcement, the more people learn about your news. With an optimized news release the result was 19 tweets. Those tweets included individuals with over 100k followers. The news release that went out unoptimized? The result was only a single tweet. Comparing 19 to 1 is a huge difference in engagement. When you start comparing the amount of followers that each of those Twitter users have, that’s when the impact of news optimization becomes astronomical. The optimized news release generated 96 website sessions. That’s 96 times someone entered and used the client’s website to learn more about the product or service. An interested party is a potential client, especially when the average session duration was 2 minutes 25 seconds. That average time indicates that people didn’t just visit the website; they stayed there and read the provided information. The optimized news release incited people to want to learn more about the company, more than was even provided in the initial release. The unoptimized news release only resulted in 12 sessions with average session duration of only 58 seconds. The website received fewer visits and when people did visit, they spent less time absorbing the provided information. Another way to look at these two numbers is by the total time spent on site as a result of each release. The optimized release saw a total of 13,920 minutes while the unoptimized version only saw users for a total of 696 minutes. The benefit of an optimized release was 20x more time spent on site. When talking about sessions it’s important to remember the people behind those sessions, the potential clients. The optimized news release generated 67 new visitors compared to only 9 generated by the unoptimized release. The difference is stark especially when taken into consideration that each one of those visitors still needs to be converted from interested party to potential client, and finally to client. The marketing funnel features many touch points so it’s important to attract as many people as possible to maximize your ROI. When such a powerful tool exists at your disposal, why wouldn’t you use it to your advantage? The optimization of a news release is a process that anyone and everyone preparing an announcement can implement. Try it with your next announcement, see the results and judge for yourself what SEO-PR and Rutgers CMD already know, and want the rest of us to know: news optimization leads to optimal results. How does news optimization work? The basics of news optimization lie in crafting better written content, according to specific rules. Google offers an entire starter guide teaching the basics of search engine optimization. Tips include creating content primarily for users, not search engines. This means avoiding the use of “numerous unnecessary keywords aimed at search engines but are annoying or nonsensical to users.” Another good tip is to use your key word or key phrase in the headline. A major aspect of news optimization is also the inclusion of the right type of links. There are follow links, and no follow links. Search engines want to clear spam from their results to ensure that only quality content reaches their users. Filtering through links found within articles is a way these search engines make sure that black hat SEO spammers aren’t abusing the system. Business Wire automatically includes "no follow" links behind the links included in your news releases. A great read on “follow” vs. “no follow” links can be found here. In order to increase the visibility of your news within search engines, you need to build a smarter news release. Include key phrases in your headline and/or subhead, including multimedia, and add links to drive interested parties back to key sections of your website. Click here for a step-by-step guide on how to optimize your news release.